As Israeli authorities detained the few pro-Palestinian activists on the ‘flytilla’ who got as far as Ben-Gurion International Airport, perhaps they should have claimed they were being prevented from visiting the West Bank for their own safety. Had they been allowed to complete their journey they would have been at risk of encountering thugs like Lt. Col. Shalom Eisner, the deputy commander of the Jordan Valley brigade, seen here slamming his American-made rifle into the face of a young Danish activist on Saturday. Another image appears to show Eisner striking another activist with his rifle. Ami Kaufman reports that praise for Eisner is flooding the Israeli social media and that this senior officer is in line for a promotion. A source who approached me and wishes to remain anonymous at this point has informed me that Lt. Col. Eisner is set to be the next deputy commander of Bahad 1 – the IDF’s training base for all of its officers. This piece of info could not be confirmed. Leading Bahad 1 is considered to be one of the most prestigious jobs in the IDF. Some of its former commanders were Shaul Mofaz, Giora Eyland, Matan Vilnai, Elazar Stern and others who later became high-ranking generals or Chiefs of Staff. National Union MK Michael Ben Ari issued a response to the incident and congratulated the IDF officer who hit the leftist activists. Bibi also writes of the terrible Hamas rockets which are so dangerous to the poor unarmed helpless israelis on their stolen land. How can anyone still believe this nuke-laden entity full of fearful, belligerent, immature chosen humans is worth endangering the peace of the globe and the lives of millions of Muslims? The officer also claimed the victim of his assault broke two of his fingers prior to being beaten. Those fractures healed miraculously fast. These are unarmed people on bicycles, beset by heavily armed thugs emerging from steel-plated vans. That the brute who slugs a young activist with the side of his assault rifle is a prominent officer of the IDF, should come as no surprise. Perhaps the most disturbing aspect of the encounter was that the Israeli soldiers were perfectly content to be filmed in this way, since the footage was neither seized nor destroyed. From their point of view the violence was a publicity exercise, intended to intimidate others from emulating the courageous international volunteers in solidarity with the Palestinian people. 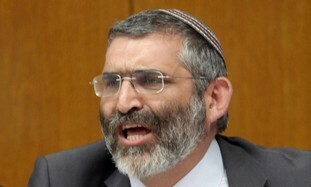 The global outrage over Shalom Eisner’s method of displaying his authority will quite probably cement his promotion to Bahad 1’s deputy leadership. Well done… Shalom. Voila! The ZIONAZIS….fat slimy and armed, assaulting kids like thugs. But in the end, we had to go to war in Iraq for them because they were soooo scared of Saddam. Now they’re scared of Iran, but we ain’t fighting their wars for them anymore. As many Israeli friends pointed out, the “brave” IDF ain’t no more. Now you’ve got crazies in yarmulkes running everything, in panic that Arabs are no longer what the Egyptians were in 1967, so they take out their fears on their own kids whom they know, like the 1948 Palestinians, won’t hit back because they’re helpless. If Netanyahu punishes this fat “officer,” he’s a hypocrite because this is the kind of Israeli officer Likud, the party that the Laron midgets, created. Come to America, Eisner, see what a welcome we’ll give a fat turd like you. Perhaps here you wouldn’t be so quick to let yourself go as you can’t bring your made-in-America “ASSAULT” rifle (not meant for the kind of assault you engaged in) with you….You’re a shame to the truly heroic IDF fighters who were both moral and loyal to their cause. You are now the typical NKVD of the good old days. Is that the only kind of “olims” Israel can get anymore? If so, it’s the beginning of the end, Likud style! But seriously, when the Danish or American or British or whichever police beat up unarmed protesters, why as an Israeli do you choose to identify with those wielding the weapons? Why always assume that might is right?